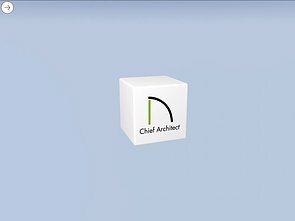 Learn how to prepare and export Chief Architect plan files, how to store and manage your files on the cloud. 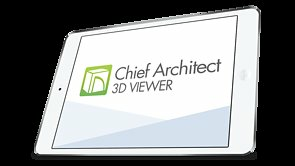 This video shows the process of exporting a plan from Chief Architect Premier into the Chief Architect 3D Viewer Cloud, managing your plans in the cloud, and sharing those plans with your clients. 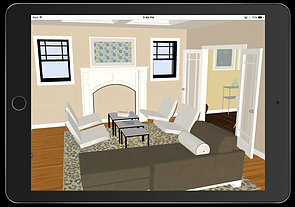 Open and navigate through a 3D Viewer model using these steps. 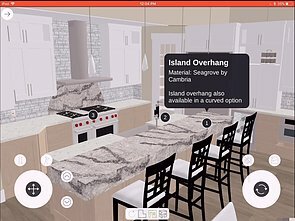 This video covers how to minimize the surface count and texture size of your plan in preparation for an export from Chief Architect desktop software and import into the mobile 3D viewer. 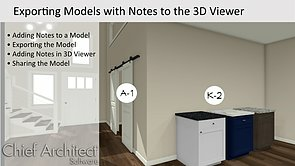 Add notes to your 3D Viewer model and share them with your client. 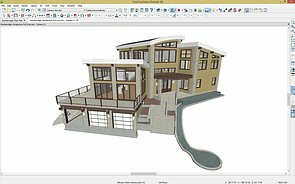 Create notes in Chief Architect that you can then export to a 3D Viewer model. 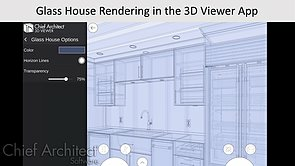 The Glass House Rendering technique is unique in that it allows a user to see through surfaces. 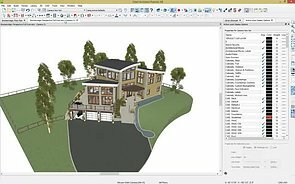 Import Collada (DAE) Files into Chief Architect 3D Viewer by following these steps.